Night Photograph from Canada by Steven Archdeacon. This was a statue of recycled metal (in Canada) to form a man holding the globe at Parc du Mont Arthabaska. 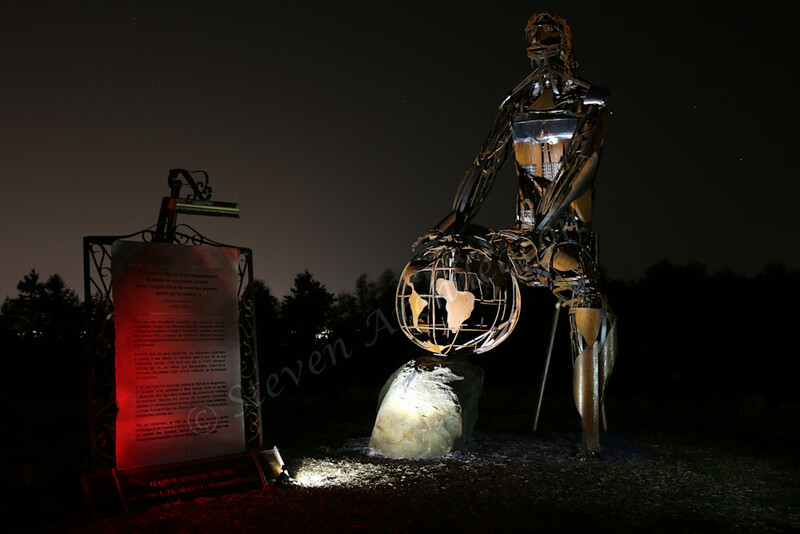 This pic was taken in Canada when I was visiting my good friend Thorn as it is a recycled metal man holding the globe with a scroll next to him which I had my friend light paint the color red as I did about a 30 second exposure. It was pretty cold out that night, but I was still able to get a few pictures before we left the park this statue located.